The Catedral de Santa María de la Sede, or Seville Cathedral as it is more commonly known, is one of many cathedrals in Spain. This one in pariticular was completed in 1502 and is known as the third largest church and the largest Gothic cathedral in the world. What we have here, shows the Door of the Prince entrance, the altarpiece by Pierre Dancart, grand and decorative interior, and a courtyard also full of orange trees. Inside also has a museum that houses artworks, artifacts, and the tomb of Christopher Columbus. Those who have been to Europe knows there are churches everywhere. This was just the first of many I saw. Each time is the wow factor, with the massive columns drawing your eyes upwards to the elaborate walls and ceilings. 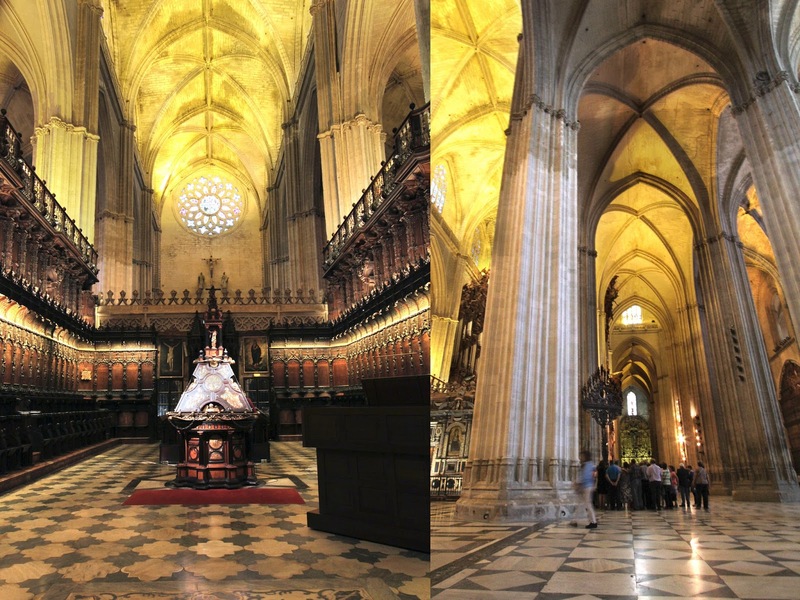 But each city and country has their own style of cathedral, reflective in the time period and location it was built in. This one was declared a World Heritage Site in 1987 by UNESCO, and is one of the top places to visit in the city.